The Queen City is challenging Portsmouth’s reign as the state’s coolest city. Explore Manchester’s art scene, foodie culture, local brews, indie book store, cocktail bars and more while parking is still (relatively) easy. 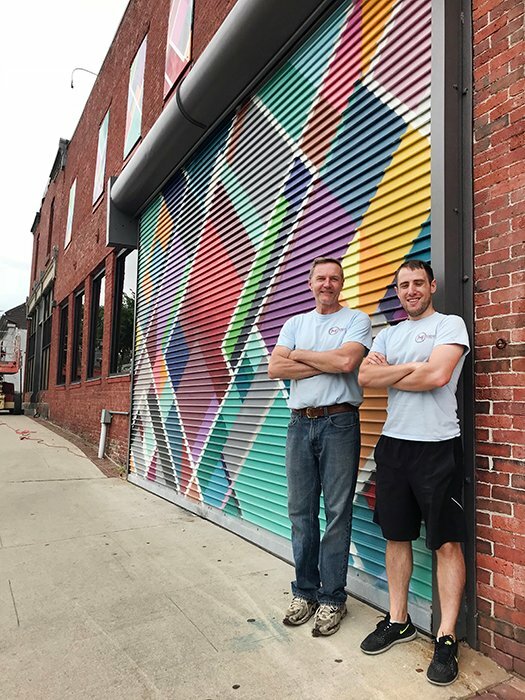 Outside the Manchester Makerspace are co-founder Steve Korzyniowski (left) and board president Dan Perrinez. The mural was painted by local artist James Chase. 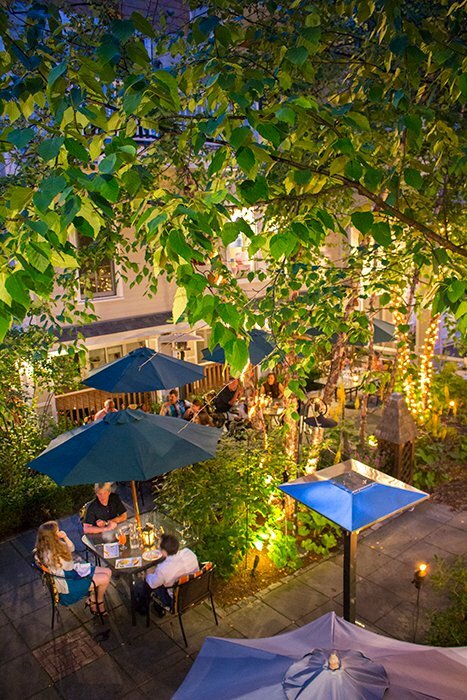 The Crown Tavern’s patio is a lovely place for dinner and drinks. In addition to housing world class works of art, the Currier Museum of Art also hosts a number of events, such as the recent Expanding Your Palette: A Night of Wine, Spirits, and Fine Art. The Foundry is located in one of the historic mills. The Foundry’s patio, which feels like a wooded, secluded space, also overlooks the Merrimack River. 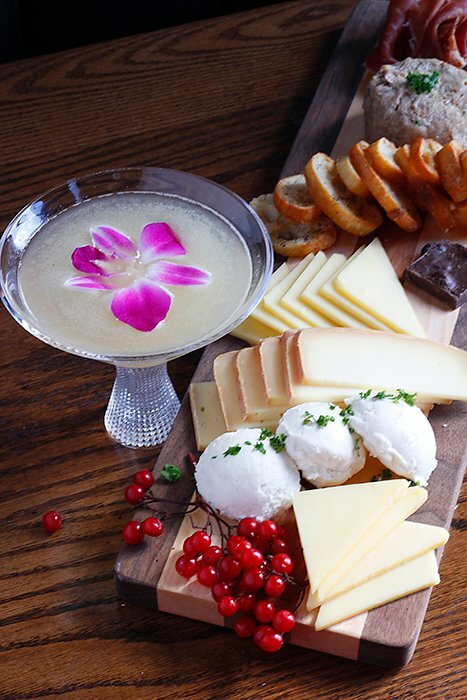 The Foundry’s cheese board always includes an impressive selection from local farms. There’s something going on in downtown Manchester. 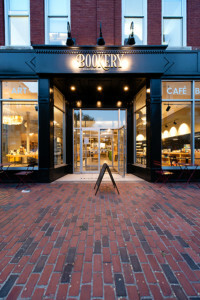 In the last several months, businesses catering to a newer demographic and acting as gathering spaces have opened their doors — places like the Bookery Manchester, a light, airy independent bookstore complete with a café in the back, and Boards and Brews, a board game café and bar where large groups can be seen playing everything from UNO to The Settlers of Catan for hours on a Saturday night. And there’s plenty more coming down the pike. If you blink, you might miss Manchester’s latest transformation. We’re calling it first — Manchester is about to get really cool. See who's who on the August 2018 Manchester cover. 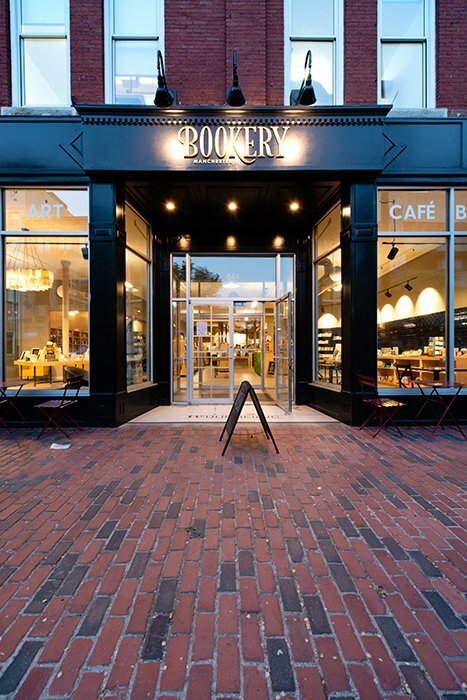 If New Hampshire’s Queen City is becoming hip, it’s certainly not Manchester’s first transformation. 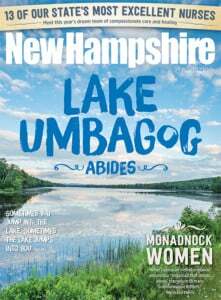 In the 19th century, the Amoskeag Manufacturing Company lined the Merrimack River with mills, created millions of square feet of manufacturing space, and turned the city into an American manufacturing mecca. Manchester truly became a gem of the Industrial Revolution, and by the 1920s, the AMC was the largest textile producer in the world, thanks in part to the dam and hydroelectric plant built on river. 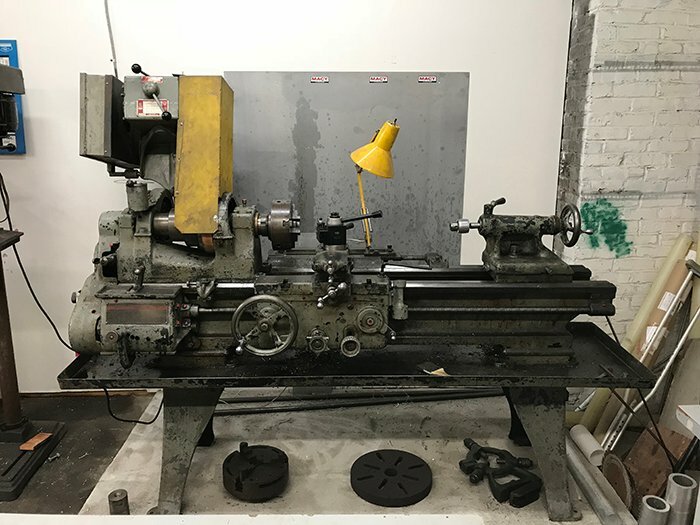 Of course, the Millyard’s looms have long been silent, and now its iconic red brick buildings are filled with everything from condos to cycling studios. The modern millworker is a chef, young professional or engineer, and gingham and flannel were replaced by fine dining and cutting-edge technology. A stroll through today’s Millyard reveals restaurants, offices and classrooms (including a commuter campus for the University of New Hampshire), and it has gained a reputation as a buzzing hub for tech firms like Autodesk, SubItUp and Dyn, an internet performance company that was recently acquired by Oracle. 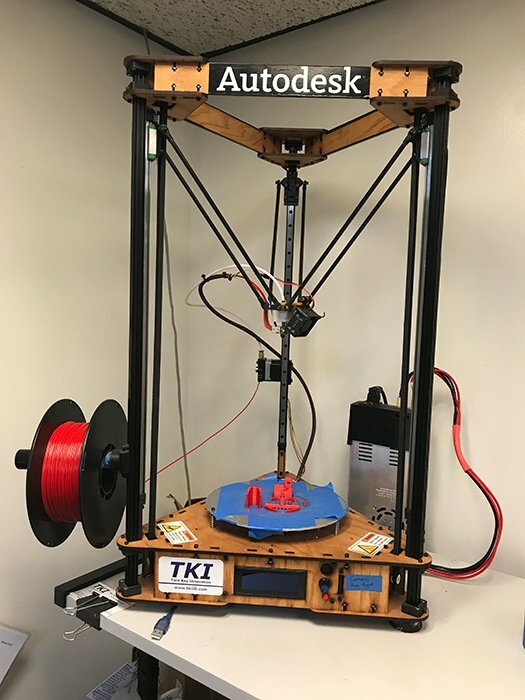 Manufacturing, in a way, still exists here — but rather than textiles, it’s in the form of engineered human tissues at the Advanced Regenerative Manufacturing Institute (ARMI). Manchester is also a college town with a young undergrad population supplied by the University of New Hampshire at Manchester, Southern New Hampshire University, the NH Institute of Art, Saint Anselm College, and Manchester Community College — a key fact Forbes, which ranked Manchester the fifth most livable city in 2010, has pointed out. But now it’s also these young techies with disposable income, together with forward-thinking entrepreneurs and city leaders, who are helping drive the city’s latest transformation. 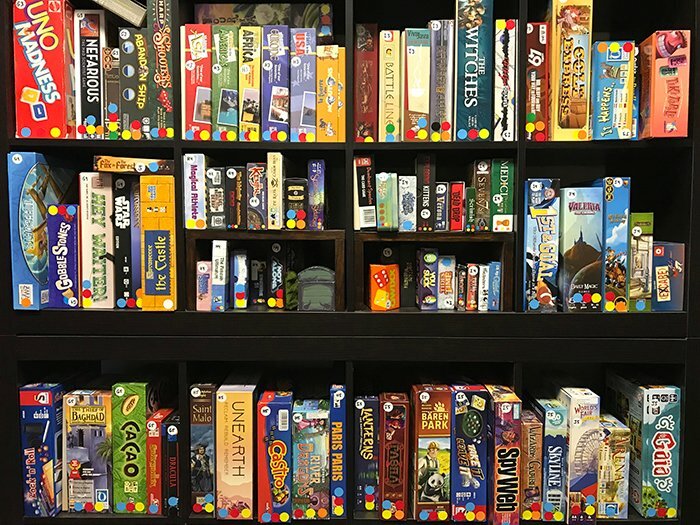 The state’s first board game café features long wooden tables, an exposed brick wall — a nice nod to Manchester’s history — and huge shelves housing classics (think Monopoly) to trendy games like Codenames. At first glance, this might feel like a narrow niche to fill, but this type of space was indeed in demand. 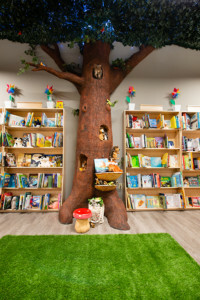 Not only is the place regularly packed, it was funded, in part, by a Kickstarter campaign, whose initial goal of $15,000 was reached in less than three days. 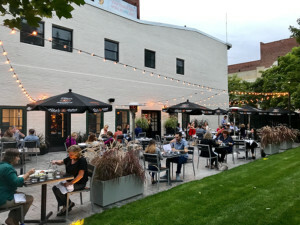 Urban loft spaces, which already exist in the Millyard, are now being developed downtown, increasing foot traffic and demand for places to go out. Others cite the building of Verizon Wireless Arena (now the Southern New Hampshire University Arena) in 2001 as the start of the revitalization of downtown Manchester. Today, efforts by the government and civic groups are making Manchester even more livable. Rentals are $2 per hour (rides under an hour are free), monthly membership is $15 and an annual membership is $30. There are seven stations in the city. Civic group Manchester Connects has outlined several potential cultural and economic development initiatives, including making streets more foot-, bike- and public transit-friendly, increasing the amount of dining and residential options in the Millyard and building a world-class Riverwalk and iconic pedestrian bridge. 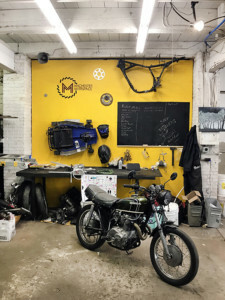 Organizations such as Bike Manchester, a nonprofit bike advocacy program started by Will Stewart (now a Manchester alderman and executive director of Stay Work Play), have already brought new programs to the street. Launched last year, Manchester’s bike share program provides bikes at five stations throughout town shared by about 500 active riders. Local champions are working to increase the number of bikes as a way to ease congestion and parking issues. And now there are — or soon will be — even more places to ride. Recently, says Shooster, two miles of Elm Street, both north and south of downtown, were stripped and repaved to include bike lanes. Additionally, the Transportation Alternative Program has approved funds for the South Manchester Rail Trail, which will be part of the Granite State Rail Trail and the Rockingham Trail Extension, which goes from the seacoast to the center of the state. “We’re seeing some headway in the trails maturing,” says Shooster. “My goal in the next three to five years is to see all the dots connect” so you could ride to the coast or to Vermont and Massachusetts and Canada if you chose to, he adds. Shooster characterizes those things to do as “third places”— the places people spend their free time outside of home and work— and says they are critical to successful cities. And this is arguably Manchester’s most visible boom, with restaurants leading the way. It’s not as though Manchester was once a complete dining-out wasteland, devoid of cocktails and fine cuisine. The foundation for today’s fast-growing foodie scene was laid by a few chefs and owners who still call the city home. 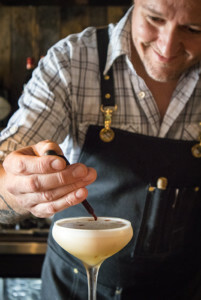 Back in 2000, Chef Jeffrey Paige was all over what became the upscale comfort food trend, opening Cotton in the Millyard, where he continues to excel with elevated classics like meatloaf and buttermilk fried chicken. Oh, and the martinis are pretty good too. 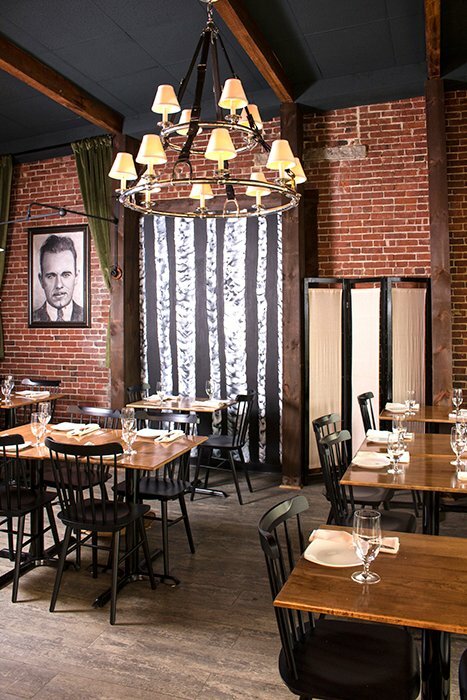 That same year, Edward Aloise and Claudia Rippee opened the Millyard’s Café Pavone. Eventually they moved on, and in 2010 the couple opened one of the city’s first restaurants with a true emphasis on local sources — Republic, which on any given evening is still crowded with locals gathered at the long marble bar. It hardly needs to be said that farm-to-table dining is one of today’s biggest food movements. Four years later, they opened Campo Enoteca, a Mediterranean-Italian wine bar and restaurant, located just down the street. Other longtime Manchester restauranteurs are opening new establishments to capitalize on current tastes. Recently, Steven Clutter won a design award for The Crown Tavern, an on-trend gastropub that opened earlier this year on Hanover Street. It’s situated just steps away from his formal dining spot, the Hanover Street Chophouse, which for over 20 years has been the city’s go-to spot for anniversary dinners and impressing business associates. Elm and its surrounding streets are finally starting to get crowded. 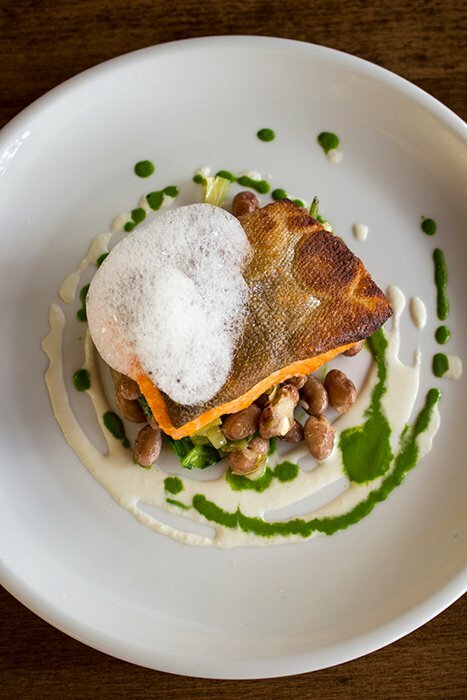 Joining Republic, Campo, The Crown Tavern, the Chophouse and many more (see our list of other must-visit spots) is one of the city’s most exciting new restaurants, The Birch on Elm. Here, dishes challenge and delight, with a constantly changing, eclectic menu that’s included everything from pasta with uni to lobster roll steam buns. The craft cocktail trend is on full display here as well, offering Prohibition classics and new inventions alike. 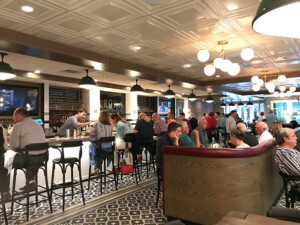 Twenty-six-year old Joel Soucy opened The Birch about two years ago with chef and co-owner Nick Provencher after they worked together at The Foundry, a popular farm-to-table restaurant located in the Millyard opened by inventor Dean Kamen in 2015. Soucy, who’s from Milford but has lived and worked in Manchester for seven years, says he witnessed the restaurant scene evolve first-hand. “When I first moved here, Elm Street was about 60 percent vacant. I was working at a little hookah bar and it was just completely different,” says Soucy. “There was only like three or four spots that were really busy, but other than that, the place was a ghost town. Since then, it’s just been slowly up-and-coming,” he adds. “I think what’s really made the difference is developers focusing on residential, because it’s allowed the places down here to really flourish. And I think there’s a tipping point too, because once more than just a few places do really well, it attracts that many more people. I think we’re past that now — we’re moving forward pretty fast.” He points to Bonfire, a country bar based in Portland, Maine, and 110 Grill (as of press time in early July, the 110 Grill was still on track to open this summer), which has the majority of its locations in Massachusetts, as evidence of Manchester’s commercial promise. 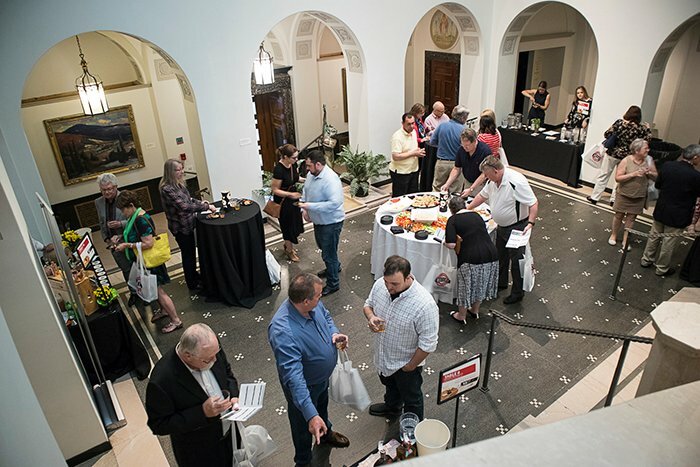 He predicts that, as more buildings transition to residential, businesses will stretch to North Elm, creating a more walkable downtown culture. The beer scene in Greater Manchester likewise got a start years ago, but is suddenly seeing real growth with places like Aigean Ales in the Millyard and Backyard Brewery and Kitchen, Third Colony Brewery and Winery, Great North Aleworks and Candia Road Brewing Company further afield. But perhaps one of the best signs that a city is truly coming into its own are those little charming neighborhood spots that are a few blocks off the main streets, but just close enough that you could stumble upon it while out for a walk. Enter To Share Brewing Company, opened by Aaron Share and his wife Jenni (as of press time, To Share was still under construction and due to open in late summer). Originally from the DC area, Aaron Share says he fell in love with Manchester when he first visited in 2013. But what about third places that don’t revolve around food and drink? There’s some of that too, and it’s growing. People can head to The Shaskeen Pub and Restaurant on Elm, which has long been a destination for regular live music or comedy. The Ukrainian American Citizen Club on Manchester Street, or “Uke” as it’s colloquially known, has started hosting live shows and is still a hidden gem. There are also cool places to work out that go beyond the standard gym. Go Ninja offers aerial fitness classes, like aerial circus training and aerial yoga, while Bare Knuckle Murphy’s is the place to head to for boxing and kickboxing workouts. Fortitude Health and Training, which offers group-training classes and has now been open for six years, shares a large Millyard space with the related FortCycle, a dedicated cycling studio, and Green Bike Smoothies, an organic smoothie bar. Über-trendy workout methods like Orange Theory, barre, kickboxing and CrossFit are here too, creating a full range of alternative workouts that appeal to a younger demographic. In addition to the new Bookery and Boards and Brews, other creative “third place” businesses are also opening, like the new AR Workshop on Elm, a boutique DIY studio that hosts workshops for everything from making wood frames and signs to canvas pillowcases. 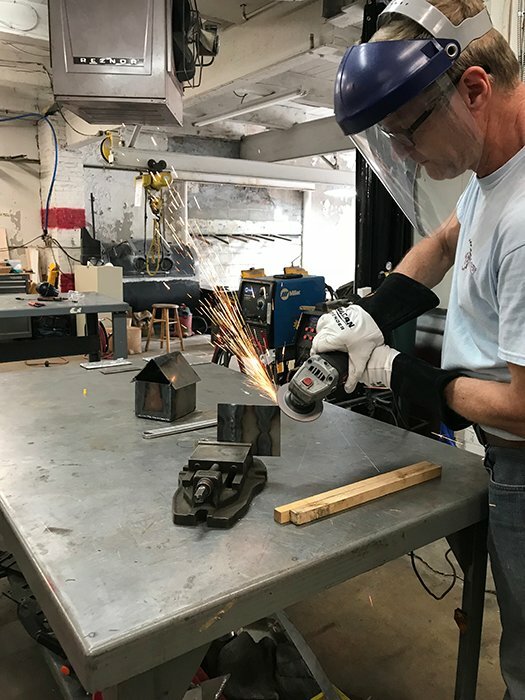 Over in the Millyard, the Manchester Makerspace is a shared member workspace that boasts 6,000 square feet of different work stations, including a wood shop, 3D printer, paint booth, metal shop, visual arts room and more. Co-founder Steve Korzyniowski, who has lived in Manchester his whole life and whose mother made textiles for parachutes during WWII in the Waumbec Mills on Canal Street, agrees that a makerspace represents a new kind of demographic and growth in Manchester. “Ten or 20 years ago, the city was dead. There were empty storefronts and homeless people. There were some changes when the arena went in,” he says. “Now we have the tech industry on Canal Street. You hear all the time that New Hampshire is aging, everyone is getting older, and I’m a good example of that. 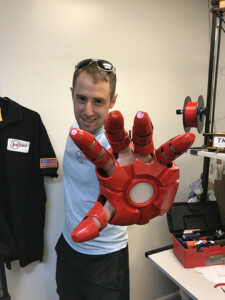 But I think it’s really important to provide places like makerspace that are unique and younger people want to join. So that when ARMI moves in and draws in people that groove on that sort of thing — geeks like us — they have a reason to stay.” Korzyniowski adds that, while many of their initial members came from the tech hub, plenty of older people who are downsizing their homes are joining as well. 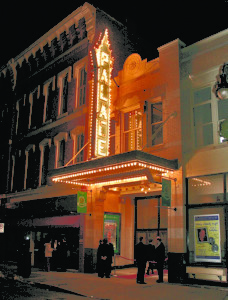 Built in 1914, the Palace Theatre, which is listed on the National Register of Historic Places, is a beloved and elegant performing arts venue. 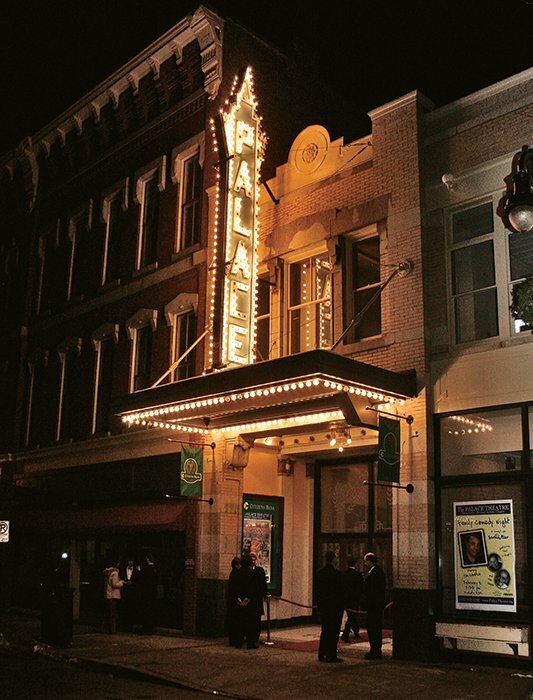 Just across the street from the venerable theatre is Jupiter Hall, a modern 2,000-square-foot multipurpose venue that has hosted performance art, art exhibits, film releases, press junkets, private parties and more, and is celebrating its one year anniversary in September. Founded in 1929, the Currier Museum of Art is the place to view works by artists such as Picasso, Matisse, Monet and O’Keeffe. But they’ve also created an interesting and varied series of after-hours events and are bringing more modern art to the museum. It’s also a great place to meet like-minded people. That’s where Bill Stelling, a New York native who showed emerging artists in a storefront gallery in NY in the ’80s, and Karina Kelley, from Massachusetts, met before teaming up to open their contemporary art gallery on Elm, Kelley Stelling Contemporary. But is having all these third places enough to make a city cool? Manchester is certainly becoming more livable by the day, but what about that other, subtler factor that has to do with the desirability of a place — its vibe, or energy? That’s arguably the best place to be. We couldn't include everything going on in Manchester in the story, so here's a list of recommended restaurants, things to do, shops and more. Some have been here for years and some are newcomers, but they all come together to make one cool city. Feel free to discuss your favorite places in the comments. Tours of the Zimmerman House, which was designed by Frank Lloyd Wright, are offered through the Currier Museum of Art. The house was designed by acclaimed American architect Frank Lloyd Wright in 1950, and it's the only Wright-designed building in New England that's open to the public. Tours are conducted by the Currier Museum of Art, which is the only way to visit. During one of the special Twilight Tours, you can enjoy live music in the house’s Garden Room as the sun begins to set. Admission to this tour also includes a beverage of your choice. Upcoming Twilight dates: August 2, October 4 and November 1. Roger Williams Gallery at the New Hampshire Institute of Art, 77 Amherst St. The gallery is open to the public, so stop in to see the work of students and graduates. 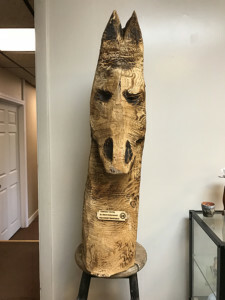 Art3 Gallery, 44 West Brook St. Located in restored townhouse in the Millyard, Art3 is a retail fine art gallery. Cat Alley, the hand-painted meters and Think Outside the Box Utility Box are three Manchester Arts Commission special projects. Cat Alley is located next to Lala’s Hungarian Pastry on Elm Street and features, unsurprisingly, murals of cats painted by different local artists (including Peter Noonan, New Hampshire Magazine’s longtime “Politics” illustrator). Local artists also painted the city’s old parking meters, which now collect spare change for nonprofits, and those big, formerly ugly utility boxes. Learn more about those and other initiatives here. Studio 550, 550 Elm St.
Offering art classes and workshops for adults and kids and fun events such as date nights. The Majestic Theatre/Ted Herbert's Music School, 880 Page St.
Ted Herbert's Music School was an Elm Street icon for decades (plans are underway to turn the school's former building into apartments with a restaurant on the ground floor), and now lives on as a part of the Majestic Theatre. Here you can catch a play (coming up in August is "Moonlight and Magnolias"), learn to play an instrument or even take acting lessons. Ancient Fire Mead & Cider, 8030 South Willow St.
As craft brewing takes over the state, other locally made beverages are starting to take hold, especially trendy mead and hard cider. Check out the welcoming tasting room where you can try flights or order pints. Speakeasy-style cocktail bar complete with password requirement. Look them up on social media (Facebook, Twitter, Instagram) for the password of the week. Strange Brew Tavern, 88 Market St. 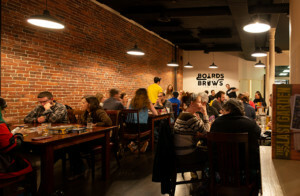 They bill themselves as New Hampshire’s original craft beer bar, and they’re probably right. 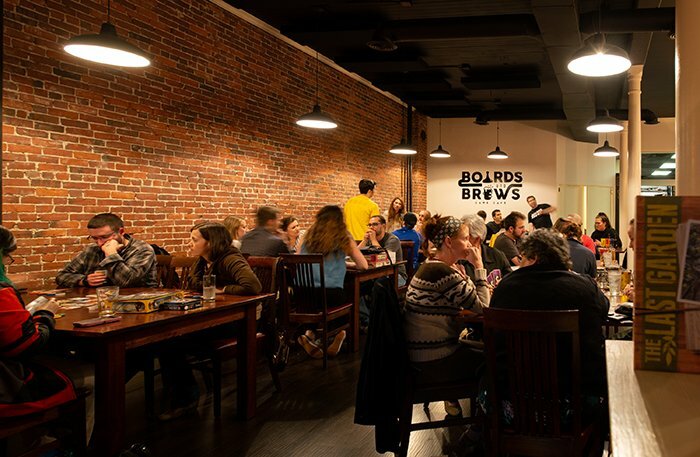 The impressive draft list includes a large number of local and regional brews. Plus, it’s a great spot to hear live music in an intimate setting. The Thirsty Moose Taphouse, 795 Elm St. This NH-based business now has four locations, and one is on Elm Street. The tap and bottle lists are impressive and do include local offerings. This high-concept, multilevel restaurant features multiple themed dining rooms, a modern wine bar and a lovely roof deck. The menu changes with the seasons and features many local ingredients. Don't skip dessert here — they are truly (delicious) works of art. Cheddar and Rye, 889 Elm St.
As the name suggests, comforting grilled cheese sandwiches meet whiskey at this sandwich spot and bar. You can build your own, or order from the super hero/comic book-inspired menu, such as Aquaman (a tuna melt, of course) or the Michaelangelo (mozzarella, pizza sauce and pepperoni). The theme continues to the décor, which includes classic video games to play and a lounge area with comics to read. Madear's is a tapas-style restaurant, but the dishes aren't Spanish — they're Cajun. 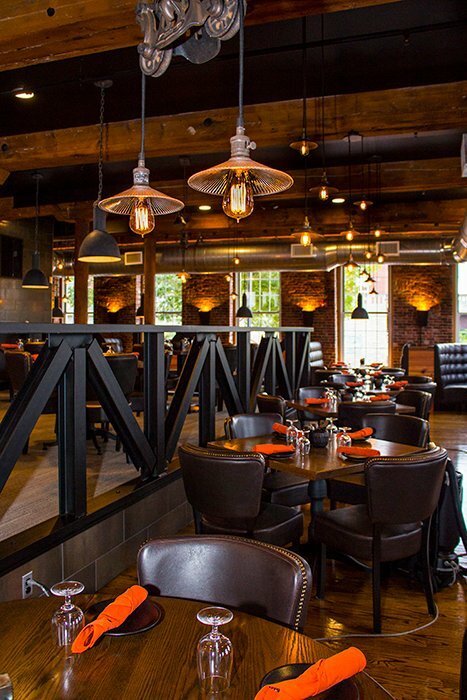 900 Degrees, 50 Dow St.
A Millyard favorite serving Neapolitan-style pizza, plus a few other dishes. 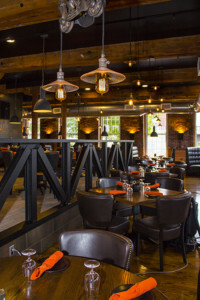 Eat in the main dining room or at the large bar to soak up the exposed-brick-and-wooden-beam ambiance, or sit outside on the deck during warm weather months. 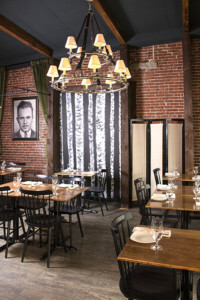 XO on Elm, 827 Elm St.
Now with a revamped Latin-inspired menu, plus gluten-free and vegan dishes. Café Momo, 1065 Hanover St. This longtime local favorite serves authentic Nepalese food including, of course, a large variety of the dumpling-like momos. Matbah Mediterranean Cuisine, 866 Elm St. Relative newcomer to Elm Street offering Turkish, Greek and Middle Eastern cuisine. The Gyro Spot, 1073 Elm St. The traditional Greek street food really does hit the spot. Don’t pass up the delicious, slightly spicy G sauce, though the tzatziki is great too. It’s also one of the few places open late on weekend nights. Consuelo’s Tacqueria, 36 Amherst St.
Charming family-run Mexican restaurant where you order at the counter. Keep an eye out for the sangria specials. El Rincón Zacatecano Taquería, 10 Lake Ave.
Another order-at-the-counter taqueria serving up authentic Mexican dishes. Kathmandu Spice, 379 South Willow St. Opened in the last couple of years, the menu covers both Nepalese and Indian food. Ritu’s Spice Utsav, 484 South Main St.
LaLa's Hungarian Pastry, 836 Elm St.
LaLa's has called Elm Street home since 1997, and is still serving up everything from Beigli (Hungarian sweet bread with a dense, rich, bittersweet filling of poppy seed) to three varieties of goulash. They're open until 5 p.m. Monday-Tuesday and until 8 p.m. Wednesday-Saturday. Mint Bistro, 1105 Elm St.
An eclectic, cosmopolitan restaurant with three menus — a fusion/new American, Japanese and selections from the sushi bar. Asian Kabab & Grill, 376 Massabesic St. The menu offers a wide range of flavor from Indian, Pakistani and Middle Eastern cuisines. Dine in or order delivery by phone or online. Taj India, 967 Elm St. Serving authentic Indian cuisine. Stop in for the excellent lunch buffet to try a variety of dishes. This tiny restaurant (though it did recently expand to add a bit more space) is a local favorite. The BYOB restaurant is intimate, romantic and the chef serves up home cooked Italian-American favorites. Plan to linger — the small staff and from-scratch menu mean that this isn't a place for rushed meals. The owners turned an old KFC into a charming Italian restaurant. Don't let the stripmall location fool you – the food here is excellent. Buba Noodle Bar, 36 Lowell St.
Trumin Nguyen and his family offer authentic Vietnamese food, Asian fusion dishes and pho, which is one of their most popular dishes at their Portland, Maine, restaurant. Now open. The café at Dancing Lion has three types of delicious drinking chocolate — Spicy Mayan Heat with dark chocolate and chilies, the Creamy Dark with dark and milk chocolate and the Lion’s Waltz with white chocolate, maple and ginger. 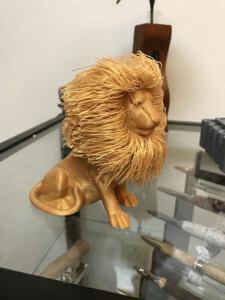 Dancing Lion Chocolate, 917 Elm St. Owner Richard Tango-Lowy is a master chocolatier whose creations are as lovely as they are tasty. The drinking chocolate is not to be missed. 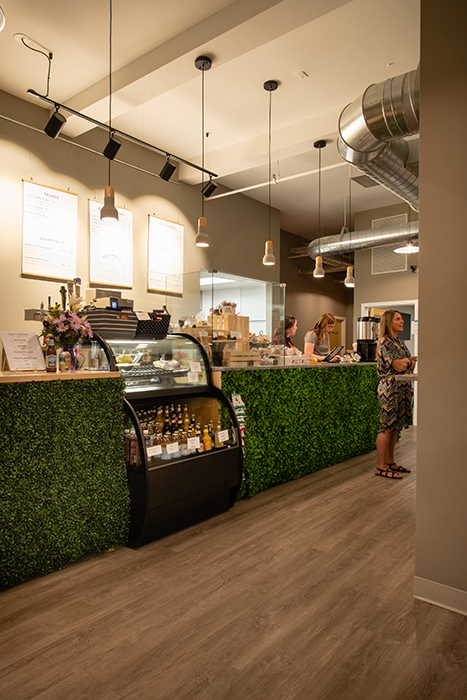 Local Moose Café, 124 Queen City Ave.
Local is right in the name, and for good reason — from the coffee (A&E Coffee and Tea of Amherst) to the sandwiches, ingredients are sourced locally. 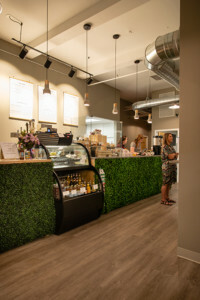 A&E Coffee and Tea, 1000 Elm St. Speaking of A&E, they have a café in Manchester as well, and these days, every cool city needs cold brew coffee on tap. 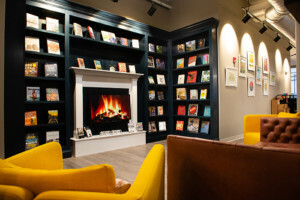 Restoration Café, 235 Hanover St. Along with cold brew, it seems that no city gets the official on-trend stamp until you can order a smoothie and a bowl. The menu offers lists of both, from a green smoothie with cucumber and kale to the quinoa and egg bowl with avocado, poached eggs and baby greens. Café la Reine, 915 Elm St.
Charming café where you’ll want to sit and stay a while, especially when they host live music. Queen City Cupcakes, 790 Elm St.
No, the cupcake craze didn't pass Manchester by. Get in early before they sell out or, better, yet, order ahead. Coming soon: Tucker's, a wildly popular breakfast and lunch spot, is opening its fifth location at 725 Huse Rd., the same plaza as Chunky’s Cinema and Pub. A sixth location is planned for nearby Merrimack. Millennium Running's annual Shamrock Shuffle in downtown Manchester is a 2-mile run or walk (March 24), which is preceded by the half marathon and relay (March 23). Those who complete the half marathon receive the Golden Shamrock medal. If running is your idea of fun, join the Thursday night pub run or one of their races, like the Boot Scootin’ Boogie 5K and Brewfest or the Shamrock Shuffle. Hop aboard and get a tour — and plenty of samples — of area breweries. See the website for tour options. Mahrajan, Our Lady of the Cedars Church, 140 Mitchell St.
A three-day Middle Eastern festival filled with music, food, dancing and more. Happening from August 17 to 19. Millyard Museum, 200 Bedford St.
All cool cities have an interesting history, and Manchester is no exception. Also check out the excellent SEE Science Center right next door. Oysters on Elm, 814 Elm St. 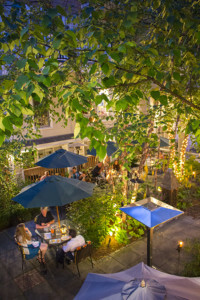 Enjoy fresh New England oysters on the half shell every Friday night from 3:30 to 7:30 p.m. at the Midtown Café patio. This is a BYOB event, and you can order oysters individually or by the half or full dozen. During the summer on Thursday evenings, Intown Manchester and TB Bank present free live music and movie nights starting at 7 p.m. in Veterans Park. 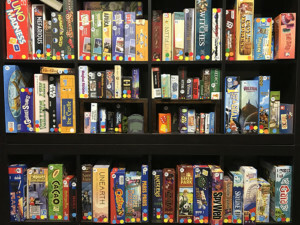 Held on Thursdays from 3-6:30 p.m. The New Hampshire Fisher Cats, 1 Line Dr. The Fisher Cats are the Toronto Blue Jays Double A affiliate. Catch a game and check out tomorrow's stars (such as Vladimir Guerrero Jr.) at Northeast Delta Dental Stadium. Hop on and off the trolley to tour 10 arts and culture venues around the city. Shop, enjoy live music, check out special exhibits and more. Two trolleys will make the full loop every 30 minutes. Happening July 26 and September 20 from 5-8 p.m.
Angela's Pasta & Cheese Shop is always stocked with varieties of cheese you won't find in the grocery store. You can also pick up wine, fresh pasta, imported prosciutto and other gourmet items. Angela’s Pasta & Cheese Shop, 815 Chestnut St.
Carb and dairy lovers will be in heaven here. Choose from their many housemade raviolis or spend time perusing the cheese case before grabbing a bottle of wine and a few gourmet grocery items. Double Midnight Comics, 245 Maple St. The city’s comic book store is also the force behind Granite State Comicon, happening September 8-9 at the Downtown Manchester Hotel (formerly the Radisson). This will be the festival’s 16th year. Statement Boutique, 34 Hanover St. Fashion doesn't have to be complicated or uncomfortable. At Statement they specialize in "easy chic" looks for all ages and in a range of sizes. 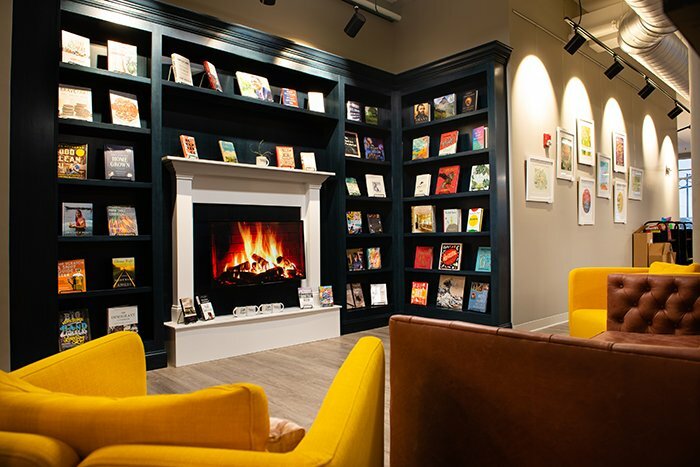 The boutique is bright and welcoming, and the staff are friendly and helpful. Pop of Color, 816 Elm St. The owners of Queen City Cupcakes opened Pop of Color, a newcomer to Elm Street located just steps from their bakery. As the name suggests, it's a colorful, fun shop selling unique gifts and home décor items. Orange Theory Fitness has a location in Manchester plus three others in New Hampshire. Orange Theory, 535 Hooksett St. This heart rate-based training franchise has made its way to New Hampshire. The Manchester location is the newest, with other gyms in Bedford, Nashua and Salem. Barre Life, 944 Elm St.
Barre Life is located in downtown Manchester, and there's a Pure Barre location in nearby Bedford. Barre Life also offers yoga and piloxing classes, and they have at least one beginner barre class per week. 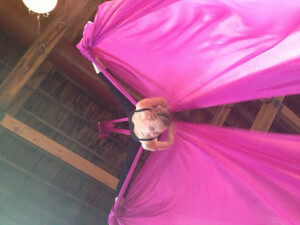 Kama Fitness, 55 South Commercial St.
A recent Best of NH award-winner, Kama Fitness offers a range of workouts, including aerial yoga, barre, pilates and dance. 9Round Fitness, 53 Hooksett Rd. This kickboxing gym has locations all over the world, including 11 in New Hampshire. The idea here is a fast, intense kickboxing-themed workout. The program consists of nine challenging stations that members complete in 30 minutes. CrossFit New Hampshire, 399 Willow St.
For those looking for high-intensity workouts. This upscale fitness center has everything from barre and cycling to swimming and tennis lessons, plus an onsite shop, full-service spa, restaurant, summertime tiki bar and much more.